Here I put together a list of Insurance Auto Salvage Auctions and wrecked car suppliers and dealers and any other place I could think of where you can get a repairable (fixeruper) car. I know it's crowded here but it's worth it. A list of auctions where you can buy salvage, clean title, wrecked and light damage fixer upper cars. Go through each one and see if you can take advantage of what they are offering. Some of them sell salvage cars, some are selling police seized and government seized cars and property. Some salvage car auctions require that you are a licensed car dealer to be able to bid on the cars. Most of the salvage cars auctions and dealers here however do not require that, so you can be just any Joe off the street with some cash. Public & Dealer Insurance Auto Auction. Dealer Only Salvage Auto Auction. Insurance Brokers, Ferrari, Jaguar, BMW..
Total Loss Recovery Broker for Salvage Cars and Motorcycles with headquarters in Philadelphia, Pennsylvania. Govt, Police & Emergency Autos and Equipment. Want to know a ballpark price on a car - here is a list of actual Insurance Auto Salvage Auctions winning bids. I took notes at the auction and posted them hereso you can get an idea what the cars sell for at the auction. The prices usually vary so remember, this is just ballpark figures. Go here for the price list. Click Here To Download my Make Money Flipping Cars eBook for FREE! It tells you in detail what to expect in this business and how to buy carsm what to look for and avoid. Get A FREE Car & Get Paid to Drive it! 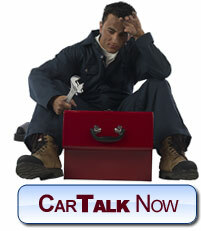 CarTalk is our New discussion board. Check it out. No Registration required. Quick and painless! 25 Reasons It's Time To Switch Auto Insurance Comanies NEW! List of Insurance Auto Salvage Auctions and Dealers that sell Insurance Cars, Trucks, Vans, Etc. How To Build Your Own Simple Paint Booth. How To Paint Cars. Step By Step Instructions. Where To Find The Paint Code On Most Cars, Trucks and Vans. What It Takes To Become A Car Dealer. Photo, Build Story And Specifications Of The Fast & Furious Supra. PPG Paint Code For The Fast & Furious Supra's Orange Color. Photos And Stories Of Some Of The Cars I've Worked On. Mid-Resolution Photos Of A 2006 Lamborghini Diablo 6.0. More Links That Didn't Fit On This Page. Copyright © 2002-2004 MirRu.com. All Rights Reserved. Search box is property of Google.com. ID-encrypted images. Protected under both U.S. Federal copyright law and international treaties. of MirRU.com or otherwise stated entity.